These Value-Tec P25B flat nose pliers comprise strips of soft brass riveted on the inside of the jaws. The softer, smooth brass jaws won't leave marks on steel parts or threads. Helpful for assembly, cleaning and re-working delicate parts. The Value-Tec flat nose pliers body is made from tool steel, the handles are coated with soft green PVC for better grip. Jaws are 5-8mm wide and total length of the pliers is 134mm. The Value-Tec P20N flat nose pliers include nylon lined jaws. The soft and smooth nylon jaws are compatible with softer materials yet provide friction for holding parts. Useful with assembly, cleaning and re-working of delicate parts or parts made from softer material (brass or aluminium) and especially for holding threaded parts. The Value-Tec P20N flat nose pliers are made from tool steel, the handles are coated with soft blue PVC to provide a better grip. Jaws are 9mm wide and total length of the pliers is 138mm. The Value-Tec G4P 4 prong pick-up tool provides a practical way to pick up and securely hold irregular shaped small parts and samples with a diameter ranging from approximately 2 to 16mm. This tool includes 4 springloaded prongs made from spring steel wire. The body is made from nickel plated brass. The maximum opening diameter of the 4 prongs is 20mm. Total length of this practical Value-Tec pick-up tool is 116mm. The value-Tec G2L double loop pick-up tool is intended to pick-up and hold ball shaped small objects up to 14mm diameter. The double loop is sprinloaded and made from spring steel wire. The body is made from nickel plated brass. Total length of the Value-Tec G2L double loop pick-up tool is 116mm. The Value-Tec DB2 fine tip air blower / hand duster comprises a soft touch round rubber squeeze bulb, a fine tip and an internal non-return valve. This ensures that dust is blown away and not sucked back in the bulb. The manually operated air blower is and economical and ecological alternative for pressurised duster cans. The air stream is more gentle and can be regulated by squeezing the bulb. Ideal to remove dust from samples, sample holders, parts, optics, keyboard etc. The fine brass tip ensures optimum positioning and can be inserted in small gaps to deliver the air where needed. Overall length is 120mm with a bulb diameter of 60mm, brass nozzle tip is Ø3.1 x 7.5mm. The Value-Tec DB3 long tip air blower is made with an oval shaped rubber squeeze bulb, a 40mm long plastic tube tip and an internal non-return valve. The non-return valve ensures that th edust is blwon away from the tip and not sucked back into the bulb. 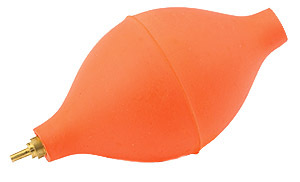 The oval shaped bulb is smaller in diameter and more suitable for persons with small hands. Ecological and cost-effective alternative to cans with compressed gas. Ideaal for removing fine dust from optics, samples, parts, sample holders, apertures, filaments, screens, keyboards, etc. Delivers the air over a broader area than the fine tip air blower.Bulb dimensions are Ø40mm x 95mm, nozzle tip is Ø7.3 x 40 mm. Overall length is 145mm. The Value-Tec CB2 cleaning basket includes a spring loaded handle and a 55mm internal diameter basket made from 25 stainless steel wire mesh. Useful for cleaning small parts, sample holders in cleaning solutions weak acids, solvents to rinse of hold in ultrasonic cleaners without losing them. 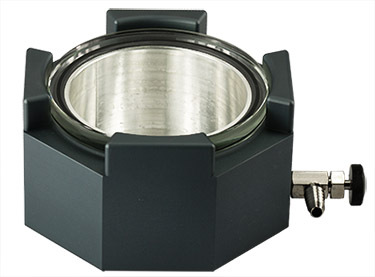 Completely made from corrosion resistant antimagnetic stainless steel. The Value-Tec PV2 dual collet brass pin vise is a french style pin vise with grooved brass body for superior grip. Includes two tool steel collets with square brass collet chuck. The square chuck prevent the pin vise from roling away when not in use. Total length is 91mm with a 7.8mm body diameter. Collet chuck is 10mm square. Capacity is Ø0.1 to 2.2mm between the two collets. 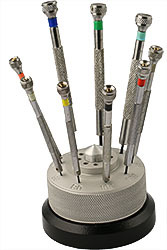 The Value-Tec PV4 wide range pin vise with two reversible collets enables the use of small drills, probes, needles, files, reamers and holding thin arbors. This pin vise is made from nickel plated brass with tool steel collets. The large hexagonal swivel head allows the pin vise to stand up and act as a third hand. The swivel head can be easily removed for fine probing work since it is held by a springloaded retaining ring. Second dual sided collet is stored in the body. Total length is 85mm with a 9mm body diameter. Fine knurled surfaces for excellent grip. Capacity is Ø0.1 to 3.2mm between the 2 dual sided collets. Stainless steel crucible tongs with serrated tips and an overall length of 258mm. Suitable for handling hot embeddings, small crucibles, beakers etc. 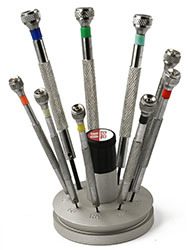 Also useful for holding polished metallographic samples for etching or lifting parts from cleaning solutions. Stainless tongs are preferred above nickel plated tongs due to lower heat transfer and better corrosion resistance. Maximum holding size is approximately 100mm diameter. The EM-Tec CGT1 gripper tool design includes spring-loaded vice grips to keep a secure hold on the pin type lid. The hexagonal shape of the barrel provides a firm grip for unscrewing the lid of the cryo grid box. A useful and practical tool for handling the cryo grid boxes under LN2. Made from cryo compatible aluminium.